Acer saccharum ‘Commemoration’, commonly known as the Commemoration Sugar Maple, is responsible for giving the Northeast the vibrant pops of color it is so well known for in the fall. 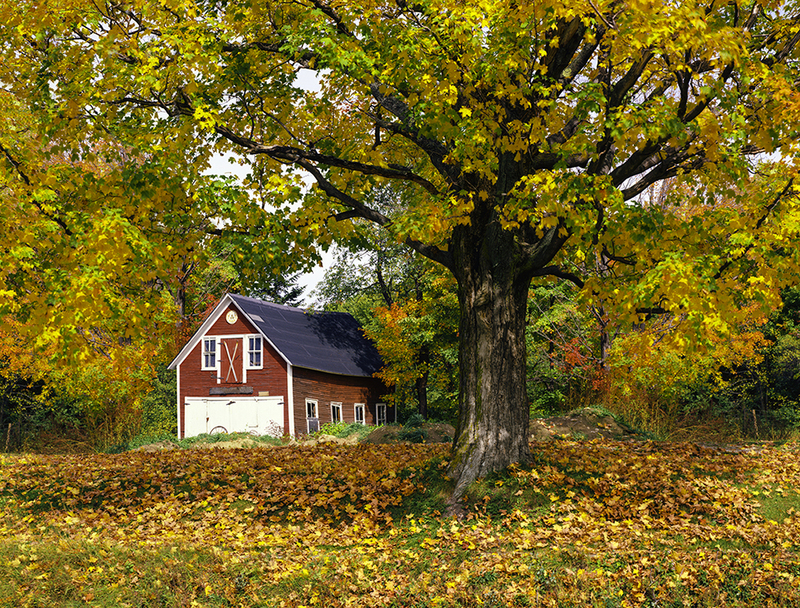 Vigorous growers with thick, heavy leaves – resistant to tattering in strong winds – the Sugar Maple’s lush beauty will persevere through most storms that cross it’s path. 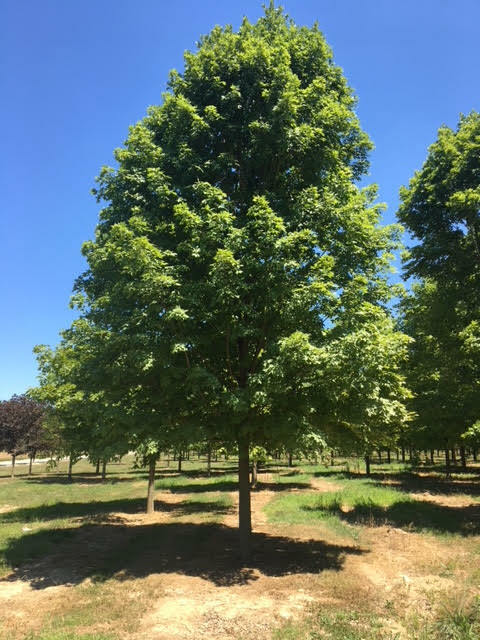 Acer saccharum ‘Commemoration’ is a hardy tree that will thrive in the sun for over 100 years, making it an excellent heritage tree for generations to relish in the shade under its broad ovular canopy. Though it prefers full sun, it will tolerate partial sun as well. Growing more quickly that other varieties, ‘Commemoration’ reaches a mature height of 40-50 ft, with a 25-35 ft. spread. 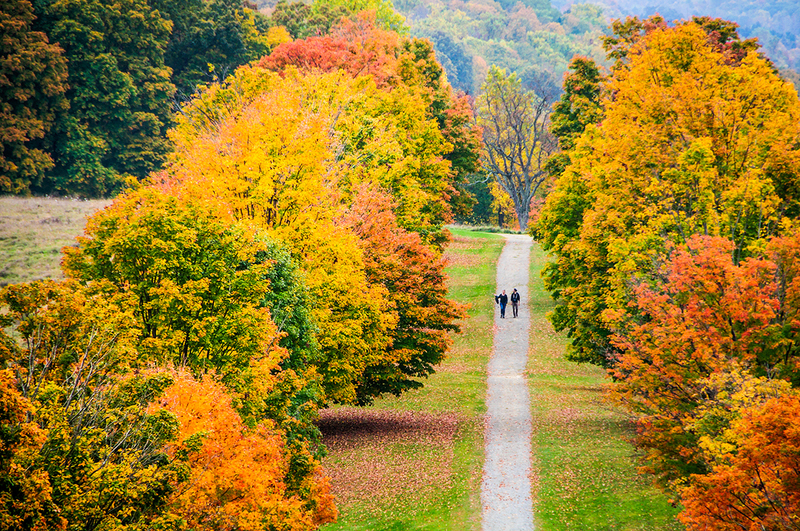 These deciduous trees transition early in the fall, weeks before most others! The 5 lobed leaves boast vibrant shades of bright red, yellow and orange. While the small, pale yellow flowers of the Sugar Maple present themselves in pendulous clusters, they are inconspicuous unless the whole tree is in flower. It’s fruit are samaras, winged brown seed vehicles designed to enable flight when the wind picks up, effectively spreading it’s seeds far away from the parent tree for propagation. Known by a variety of names, such as helicopters or whirlybirds, they are an excellent non-electronic source of amusement for children, who throw them in the air and watch them wildly spin to the ground. Sugar Maples grow best in full sun and can be pruned during their adolescence to encourage the branches to reach a canopy height suitable for human traffic underneath. One must be careful not to prune in early spring though, as maples will “bleed” large amounts of sap. Mid-summer is the best time to prune to avoid harming the integrity of the specimen and to give it’s wounds time to heal before winter. It is because of the brilliant shades found in their fall foliage that they are prized as accent trees that still blend well into the landscape. 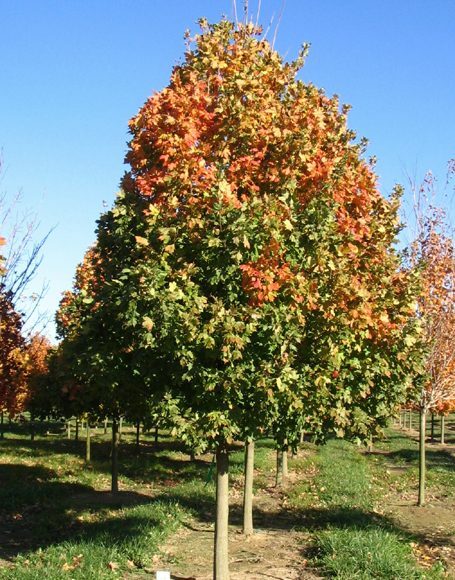 Ready to add the Acer saccharum ‘Commemoration’ to your next landscape project? Check out our above ground B&B availability here, or learn more about the Commemoration Sugar Maple here.